Get a Free Consultation and Case Review Today. All initial consultations are free-of-charge to discuss your case and we charge no fees on personal injury cases unless you receive a settlement for your claims. Emilio De Simone approaches every case and every client with the compassion and knowledge they deserve. 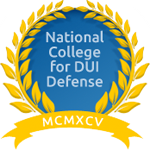 For DUIs it can be particularly important to seek legal counsel quickly because time deadlines for DMV issues start becoming an issue quickly. When you’re accused of a crime, it is important to seek out legal counsel as soon as possible. Estate planning is not only something that can help future generations but can also be something to help you. Don’t have your divorce finalized with you having thoughts of wishing you had had an attorney so that you might have had more time with your children, different child support obligations, or different maintenance obligations. All too often people are injured and decide that a lawyer is too expensive so they accept a settlement that is far below the amount that they would have received if they had someone in their corner fighting for them. Emilio De Simone is dedicated to protecting the rights of his clients in all cases relating to Personal Injury Law, Estate Law, Family Law, Criminal Law and DUI Defense. He will be the first to tell you if he is not the right person to take your case. His straight forwardness and honesty are the reasons people trust him and his passion for helping people is recognized by not only his clients, but also his peers. Copyright © 2019 The Law Office of Emilio De Simone. All Rights Reserved.